Cesco employees are trained in the speciality area of mixer maintenance, whether that is hydraulics, reduction gearboxes fault finding diagnostics or general fabrication, the maintenance is directed at the customer having a profitable life of the mixers. Cesco’s on-going backup is also evident with its mobile service teams, who are on call for repairs and maintenance service as and when required. 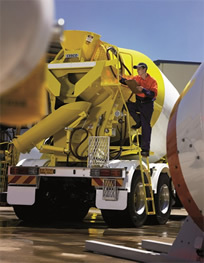 Cesco can provide service and maintenance for mixers to suit all customer needs. This can be catered to the basic customer requirements or fixed-price scheduled hydraulic servicing is an option, as is a ‘whole of life’ service/maintenance contract based on m3 throughout pricing for multiple unit owners. Cesco can personalise a service to suit you our customer. Cesco also stocks a wide range of service exchange parts eg. Hydraulic pumps and motors, gearboxes and controls.